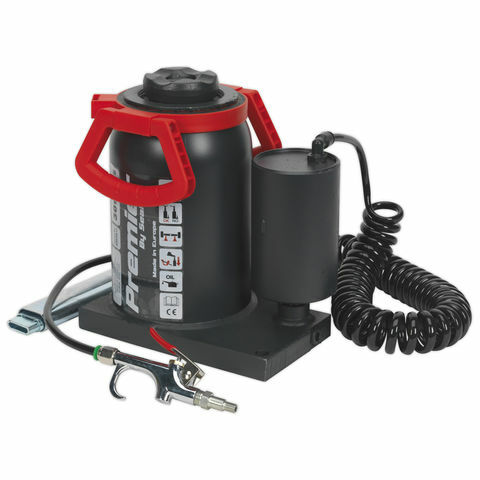 This 30 Tonne Manual/Air Hydraulic Bottle Jack benefits from an all steel, one piece base, reservoir and pump cylinder which is designed to give added strength. 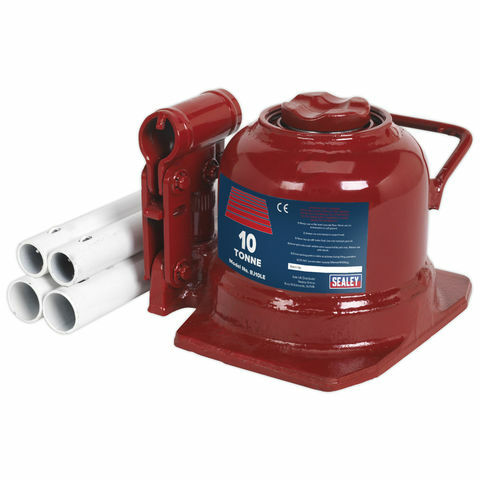 Fitted with safety overload valve and manufactured in the EU. 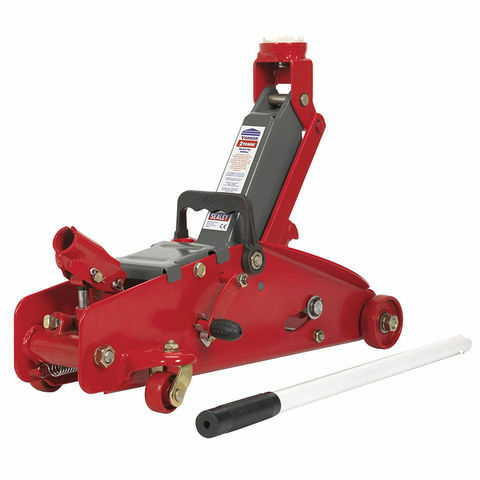 The Sealey 10 Tonne Telescopic Low Entry Bottle Jack benefits from a base and reservoir machine welded for increased strength and reduced chance of leakage.